A lot of folks know about the benefits of yoga and mindfulness practice in reducing stress and promoting wellness. Some may not know that Cameron found relief from her stress and anxiety through these practices. She proudly called herself a “yogi.” Now she is calling us to learn more. Join the Children’s Hospital of Richmond at VCU (CHoR) and CKG Foundation for a Facebook Live interactive event about the benefits of mindful practices. Hosted onsite, CKG and CHoR will gather to discuss and take questions about mindfulness: what it is, how and why it works. Spread the word and tune in. 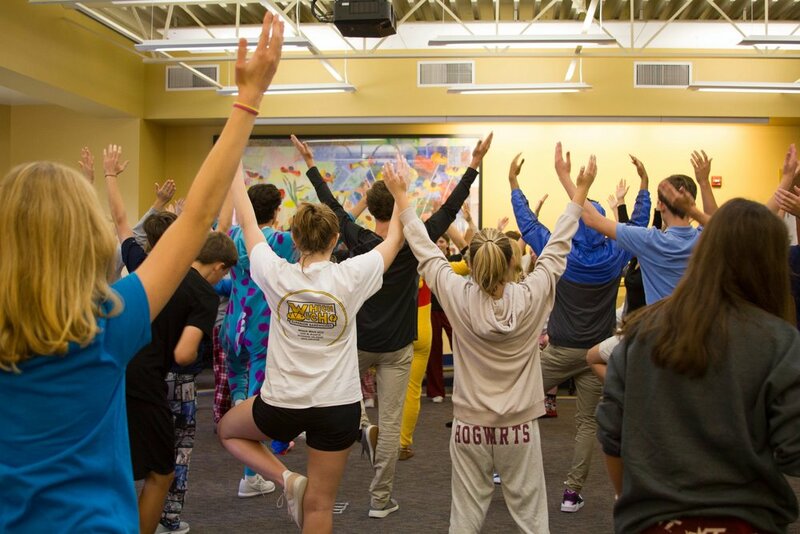 Middle school and high school students can experience a led mindful practice as a way to increase focus, reduce stress, and just “chill.” Alex Peavey, Collegiate’s Mindfulness Director who trained Seattle Seahawks’ Russell Wilson, leads the high school group. A mindfulness-trained member of the CKG staff leads the middle school offering. In January, the groups combine. Most sessions are at the Steward School’s. Visit our website for details and to register. Come enjoy a mindful yoga practice led by a certified instructor. Visit our website for details or to register. As always, programming is free to students - Cameron’s gift to teens.